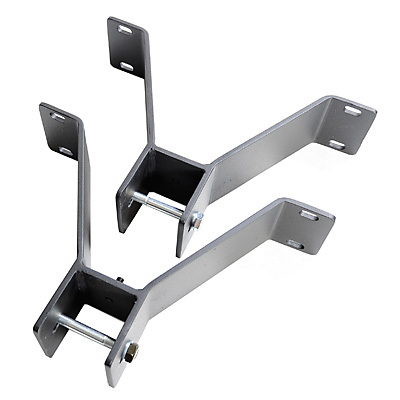 RPS-170 Wall mount brackets allow for the Column RPS-100 to be mounted to a wall, suported on 2 positions. This stand alone use of the column is ideal when using third party's fixtures for holding reproductions or books. It also allows for higher mounting, to optimise the travel distance of the column in full above the preferred working height. RPS-170 can also be used in combination with a complete RPS-120 or RPS-150 setup, in order to secure the top of the column rigid to the wall behind the setup.